This Safavieh Courtyard area rug is sure to make a statement in any room of your modern home. Constructed to be an indoor/outdoor piece, this plush synthetic material rug is sure to make a statement in your home. This rug is machine-made for convenience and quality combined. Keep things classy, yet high-quality with this floral plants patterned blue rug. 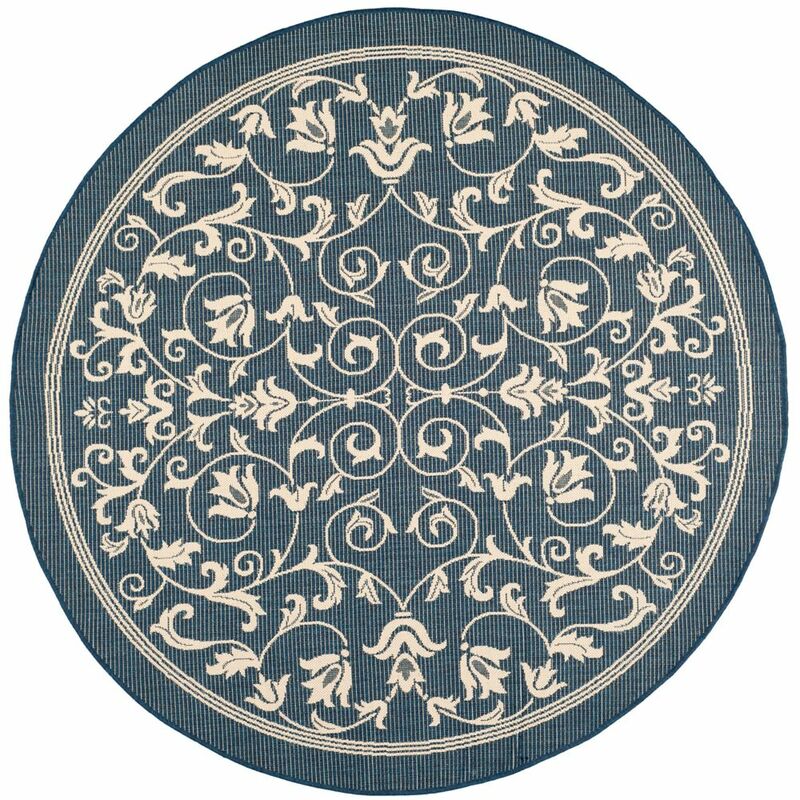 Courtyard Marc Navy / Beige 6 ft. 7 inch x 6 ft. 7 inch Indoor/Outdoor Round Area Rug This Safavieh Courtyard area rug is sure to make a statement in any room of your modern home. Constructed to be an indoor/outdoor piece, this plush synthetic material rug is sure to make a statement in your home. This rug is machine-made for convenience and quality combined. Keep things classy, yet high-quality with this floral plants patterned blue rug.